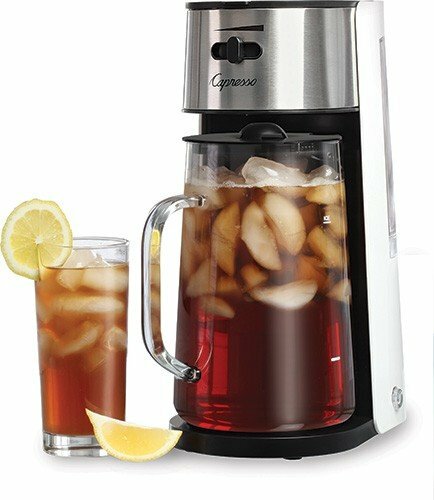 The Cuisinart Brew Central Coffee Maker makes a bold statement with a brushed stainless steel finish and an elegant tech-industrial design. Programmable from start to finish, with a variable heater plate for temperature control, it’s the ideal coffeemaker for today’s demanding consumer. It even tells you when it’s time to decalcify. 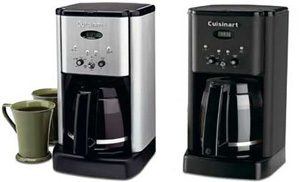 Cuisinart top quality, performance and convenience, now in new state-of-the-art packaging. Price: $89.99, ~ $79.99 after mail-in coupon. Now Through Father’s Day, 1stincoffee.com Offering Special Father's Day Deals!